Chicago IBM DB2 Analytics Accelerator (IDAA) Class – Seats Still Available! Posted by Kim May on May 17, 2016 under DB2 Education, DB2 for z/OS, DB2 Gold Consultants, Frank Fillmore, HTAP, IBM Information Management Software Sales, IDAA, Mako, Netezza. There are still seats available for the June 6th and 7th *FREE* hands-on IDAA training class, scheduled for delivery in the IBM Chicago offices. 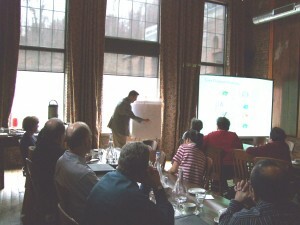 DB2 Gold Consultant Frank Fillmore will be delivering this class. Frank has delivered this class several times and the feedback has been consistently positive, as the class helps customers understand the broad range of deployment options and use cases, as well as how it works. If you are interested in joining us please review the course outline and register HERE. Please note: this class is available to prospective IDAA customers only and registration is required. If you have any questions on the course content or logistics, please contact Kim May. I hope to see you in Chicago! Posted by Kim May on April 26, 2016 under Authorized Training Partner, DB2 Education, DB2 for z/OS, DB2 Gold Consultants, Frank Fillmore, HTAP, IBM Champion, IBM DB2 Services, IBM Information Management Software Sales, IBM Smart Analytics System, IDAA, Mako, Netezza, TFG Blog. DB2 Gold Consultant Frank Fillmore will deliver a free, hands-on IBM DB2 Analytics Accelerator (IDAA) class at the IBM offices in Chicago at 71 South Wacker Drive on Monday and Tuesday, June 6th and 7th. The course outline and registration link are HERE. The Welcome Packet with travel and lodging recommendations will be sent once the registration is accepted. Class is free, however students are responsible for their own travel and lodging expenses. The Fillmore Group will provide breakfast and lunch each day to students in class. – Query data at high speeds-to significantly improve response times for unpredictable, complex and long-running query workloads. – Extend the capabilities of DB2 for z/OS-to support a cost-effective analytics solution for data warehousing, business intelligence and predictive analytics. – Lower operating costs-by reducing System z disk requirements and offloading query workloads to a high-performance platform. Please note: this class is offered exclusively to IBM z Systems customers considering an IDAA purchase. Registration is required. 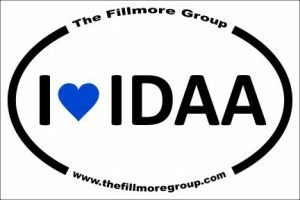 I hope you will join us and learn more about the IDAA! If you have any questions on the class, please feel free to contact me at kim.may@thefillmoregroup.com.